May 17, 2017 – This could be a first in rock history!!! 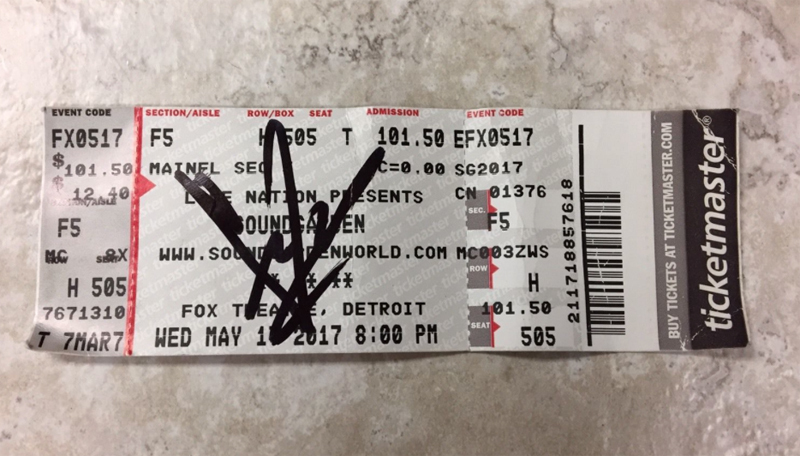 An autographed Chris Cornell Soundgarden ticket stub signed just after his last performance has just been put up for sale on e-bay for $10,0000. 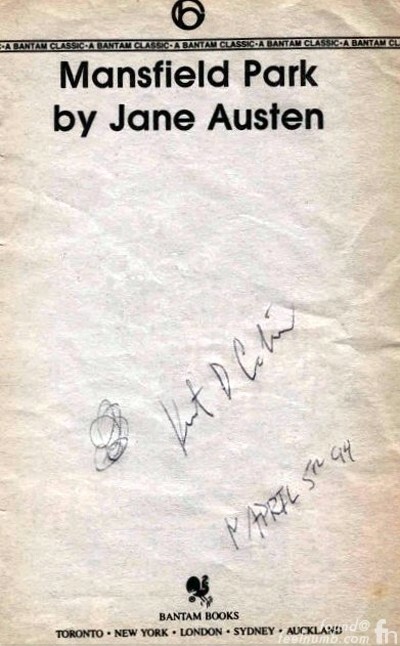 What quite possibly makes this a rock history first is that Cornell signed a ticket with the date of both his last performance and his death May 17, 2017. 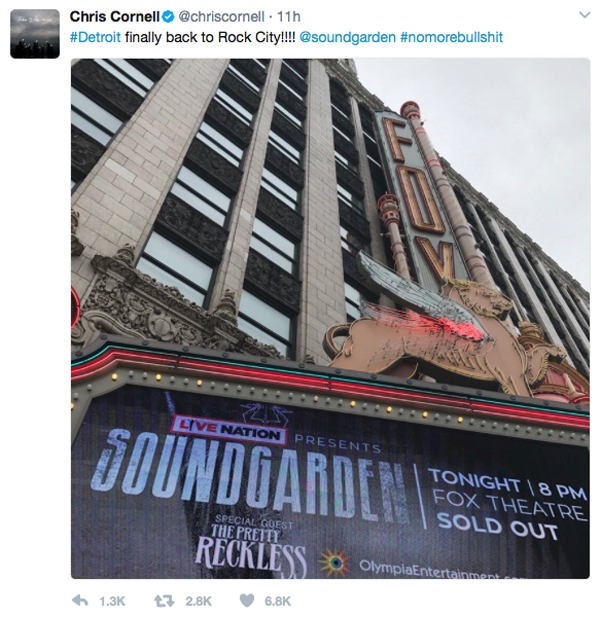 By all reports, Cornell who died of an apparent suicide at the MGM Grand Detroit seemed fine and in good spirits and even tweeted out this photo of The Fox Theatre marquee in Detroit, Michigan before the show. The eBay seller also said that Cornell signed a couple vinyl records and CD covers for him after the gig. 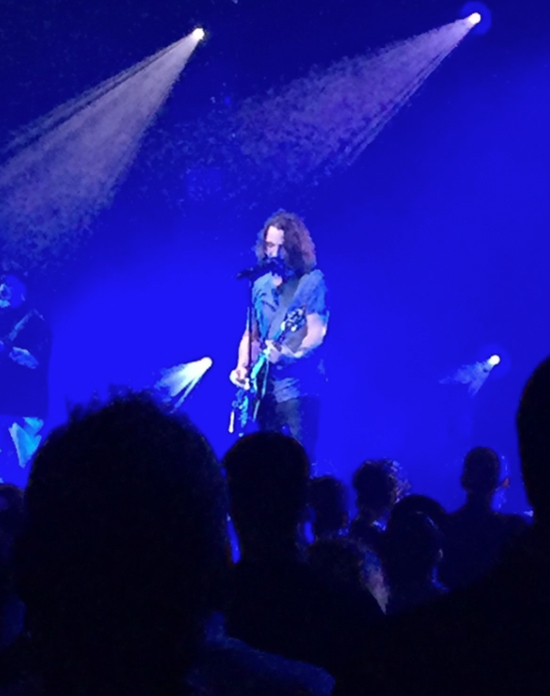 He included this photo of Cornell on stage the night of the show.